These accolades are a direct result of our ability to secure maximum awards for our clients. Some of the cases in which we are involved and oversaw have culminated in record-setting figures and meaningful case law. Clients who have worked with our law firm have remarked on our outstanding customer service. 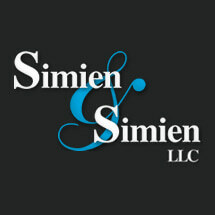 Starting with the free initial consultation at Simien & Simien, we establish a solid relationship with the people we represent based on clear communication. We are more than someone's attorney -- we become a trusted confidante and source of support. Our lawyers work directly with clients to respond to their questions and help them navigate the legal process.